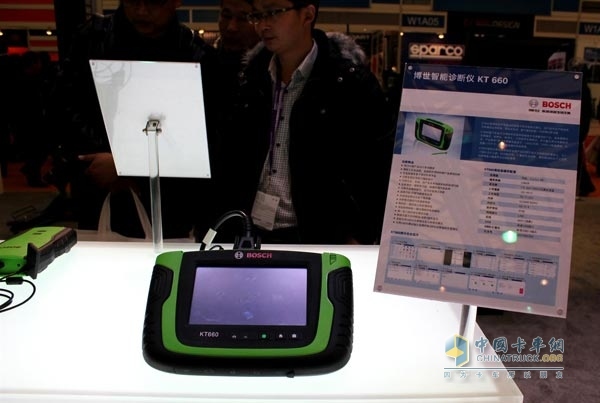 At the Shanghai Automotive Parts & Accessories Fair 2013 in Frankfurt, the worldâ€™s leading automotive technology and service provider, Bosch, demonstrated to the industry and the public its overall automotive aftermarket solution that combines â€œparts + diagnostics + servicesâ€. In the Bosch booth at Booth D01 in Hall W1, Bosch Automotive Aftermarket displayed exhibits covering auto parts , service station equipment and professional services to meet the extensive needs of the host supporting aftermarket and independent automotive aftermarket, including last yearâ€™s The new business unit established in the world - "Bosch Automotive Services Solutions" and the latest achievements in the remanufacturing of diesel common rail system components. With the development of modern automobile industry and electronic technology, various automobile systems have become increasingly complicated, and higher requirements have been put on maintenance equipment and personnel skills for after-sales services. The brand-new business unit "Bosch Automotive Service Solution" integrates services such as repair station equipment, technical information services, special tool solutions, diagnostics solutions, etc., providing a one-stop complete solution for the repair station - by participating in the facility's facility planning, hardware With various links such as equipment support, service flow design, software data support, and personnel training, the â€œBosch Automotive Service Solutionâ€ is committed to providing local customers with comprehensive, convenient and reliable support to help build a modern car repair station. At this exhibition, the "Bosch Automotive Service Solution" also showed many new products - Bosch two-column lifts, which filled the product line gap in the field of diagnostic equipment and further improved the full range of solutions; at the same time, from the local The team developed a new generation of Bosch KT660 computer diagnostics, the world's latest launch of the new generation of stereoscopic imaging wheel Aligner MLTECH + new generation of Bisbut also made its debut at this exhibition. 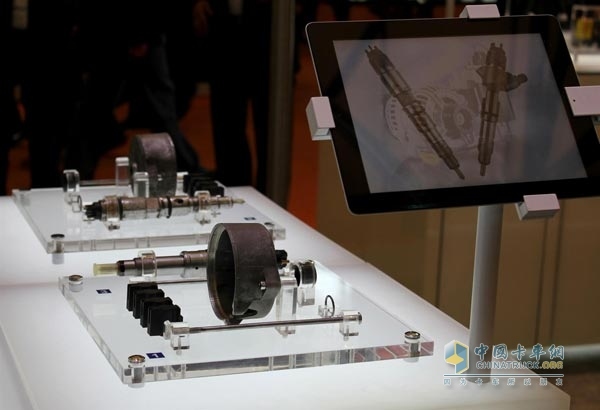 With the continuous popularization of diesel common rail systems in the Chinese market, the demand for professional and convenient after-sales service of diesel vehicle users has gradually increased and presents a diversified trend. For this reason, on the basis of traditional maintenance and replacement of new parts, Bosch has introduced the concept of remanufacturing to meet the different needs of diesel vehicle users with more cost-effective maintenance solutions. Bosch's concept of remanufacturing adopts a standardized industrial production process. 100% replaces all key components with new ones. The same quality standards and functional tests as the originals are used to ensure that the quality of remanufactured products is comparable to the original ones. At the same time, Bosch remanufactured products are delivered quickly, warranty services are provided, and prices are lower than new ones, providing diesel service stations and end users with a fast, cost-effective and convenient service solution. In addition, compared with new production, remanufacturing can also save energy, reduce emissions, and protect the environment. Since Bosch introduced the remanufacturing concept to China in 2012, Bosch Automotive Aftermarket has taken the lead in realizing the remanufacturing of diesel common rail system injectors to serve the OEM's supporting aftermarket and independent aftermarket. China's auto aftermarket is showing many characteristics such as regionalization and networking of consumer behavior. In response, Bosch Automotive's aftermarket actively expands its diversified channels and focuses on the end-user vehicle experience to quickly optimize products and services to better support business partners. Through the Bosch Auto Accessories official online flagship store established in Tmall Mall, Bosch can quickly and directly obtain end-user feedback on products while providing accessories for network users, providing an important reference for optimizing products and services. . The Bosch Automotive Aftermarket has also begun to try out offline installation services for online platforms in Shanghai. The project covers the common needs of small packages, wipers, spark plugs, and filter replacements. In addition, in order to better understand the needs of regional auto users and to give full support to Bosch Automotive's professional maintenance network, Bosch's two professional auto repair stores in Beijing and Chengdu have also opened one after another. At the same time, they have opened direct-operated stores. The online booking provides customers with professional, reliable and convenient one-stop car service. In the future, Bosch will continue to focus on user needs and experiences, and continue to optimize product and service concepts through various platforms such as the Internet. Being in the world's largest auto market, domestic after-sales services are faced with challenges such as a wide variety of vehicle models and rapid upgrading. Consumers also place higher requirements on the quality of accessories. 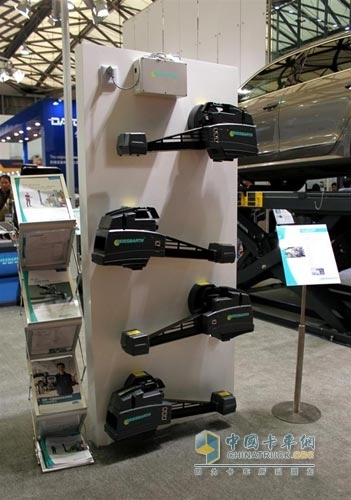 In order to better adapt to the rapid changes in market demand, Bosch Automotive Aftermarket continued to enrich and improve its accessories product line, further enhancing its competitive advantage in the high-end market, and introduced a new S6 battery suitable for start/stop systems, covering high-end models. Up to 90% of precious metal spark plugs and a variety of diesel common rail system injectors and other products. At the same time, Bosch Automotive Aftermarket is gradually expanding its product portfolio in the mid-end market. At present, the coverage of Bosch's brake pads and oil filter models are all close to 80%. The newly introduced new wing wiper also provides car users with more cost-effective product solutions. Each year, more than 1,000 new product numbers are introduced in the aftermarket of Bosch Automotive to meet the rapidly growing market demand. The MP Cone Crusher Series stemmed from the roots of the Symons and Omnicone lines. YYD followed along to meet the new demands for replacement parts for these modern crushing units. YYD carries the premium replacement parts for your unit. In most cases, we have the part on the shelf and ready for immediate shipment. In some cases, YYD has even improved the conventional design of the original MP replacement parts to enhance durability and performance. Whether you need to replace the Eccentric Bushing, the Socket Liner or the Thrust Bearing-YYD has your MP Crusher Parts needs covered. YYD is Your SuperStore for MP Crusher Parts! All YYD Replacement Parts are shipped only after meeting our rigorous quality standards. We are committed to meeting your demand for MP crusher spares in a professional and efficient manner. Our Customer Support Department is ready to help you with a quote, to check inventory or to simply answer a technical question. Talk to your YYD professional today about your specific needs!